Tipard iPad Video Converter is professional and easy-to-use software, which can convert popular video formats, like AVI, WMV, MPEG, HD video to iPad compatible formats, such as iPad Pro, iPad 4, iPad mini, as well as iPhone XS/XS Max/XR/X, iPhone 8/8 Plus, iPhone 7/7 Plus, iPhone SE, iPhone 6s/6s plus/6/6 plus/5s/5c/5/4s/4, iPod touch, iPod nano 7, etc. 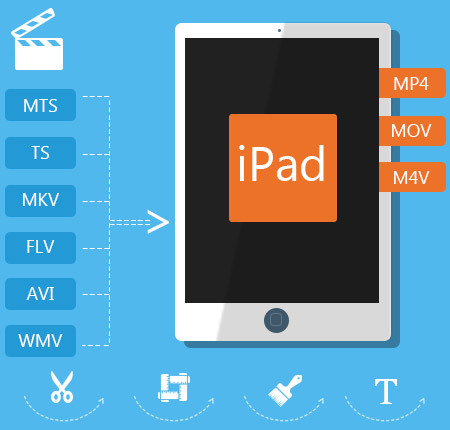 This Video to iPad Converter also performs well in extracting audio from video to iPad formats, such as MP3, AAC, M4A, WAV, AIFF, etc. Why choose Tipard iPad Video Converter? Tipard iPad Video Converter is powerful software, designed not only for converting any video to iPad compatible formats but also editing the videos. With Tipard iPad Video Converter, you can convert video with perfect output quality and fast conversion speed. Tipard Video to iPad Converter has powerful functions of converting various videos to iPad supporting formats. 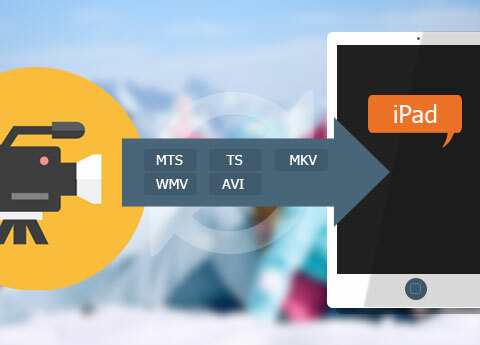 It converts any video files to iPad compatible formats, such as AVI, WMV, MP4, MPEG, etc to MPEG-4, H.264/MPEG-4 AVC, MOV and M4V, which highly supported by iPad Pro, iPad, iPad 4, iPad Mini, New iPad, iPhone 6s, iPhone 6s plus, iPhone 6, iPhone 6 plus, iPhone 5, iPod nano 7, etc. It also serves as a HD video converter for iPad and it is able to convert HD video to iPad, such as HD H.264, HD M2TS, etc to iPad format. 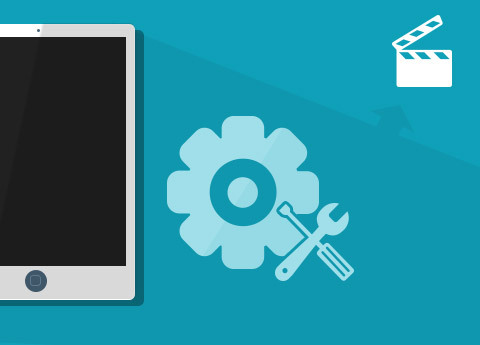 Its plentiful supporting formats makes the converter compatible with most present popular portable devices, like iPad 4, New iPad, iPhone 5, iPod touch, and so on. 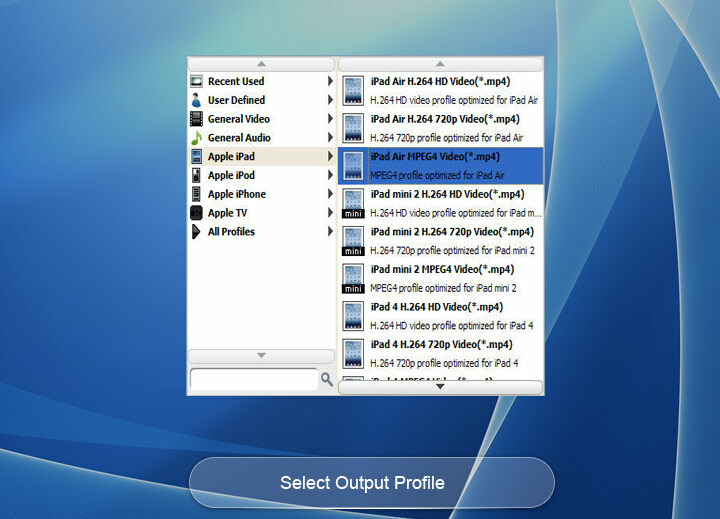 This iPad Video Converter also can extract audios from video files to iPad. Using Tipard iPad Video Converter, you can make your own special video. 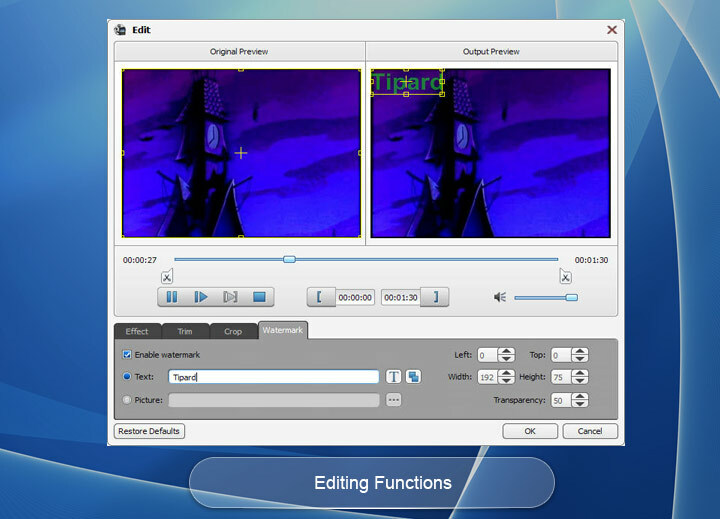 This program allows you to trim video file to change the video length and join several pieces together as a single one. 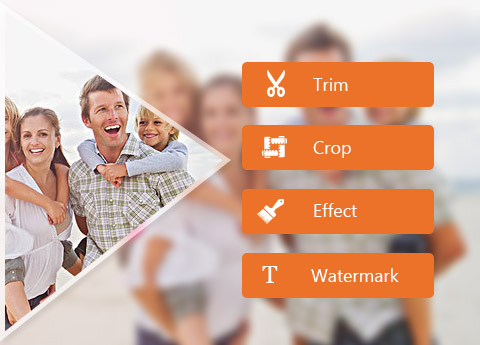 Watermark can help you add pictures or images to make your videos special, and you can edit the font-family, size, color, etc as individual preference. Crop the play region of video to adjust the playing region of the video to fit for your player and your favor. By the function of "Merge", you can put several chapters of video into one file, and you'll enjoy a single long movie with a single click. In addition, this high-end iPad video converter enables you to improve your video effect by setting Brightness, Contrast, Saturation and so forth. Video preset is also provided by this iPad video converting software, such as the Video Encoder, Frame Rate, Video Bitrate. They are able to be customized as you need. It is also possible to set Audio Encoder, Sample Rate, Channel, and Audio Bitrate, like setting the Audio Bitrate to 32kbps, 80 kbps or 160 kbps, etc. The Audio Bitrate is bigger, the sound quality is better. Beyond that, Tipard video to iPad converter allows you to choose audio track and subtitle you want, or choose no subtitle based on your needs. As the output profile can be defined according to the playing device. The converted files can be played well on iPad Pro, iPad 4, New iPad , iPhone 5, iPod touch and iPod nano 7 , etc. They are able to be customized as you need. 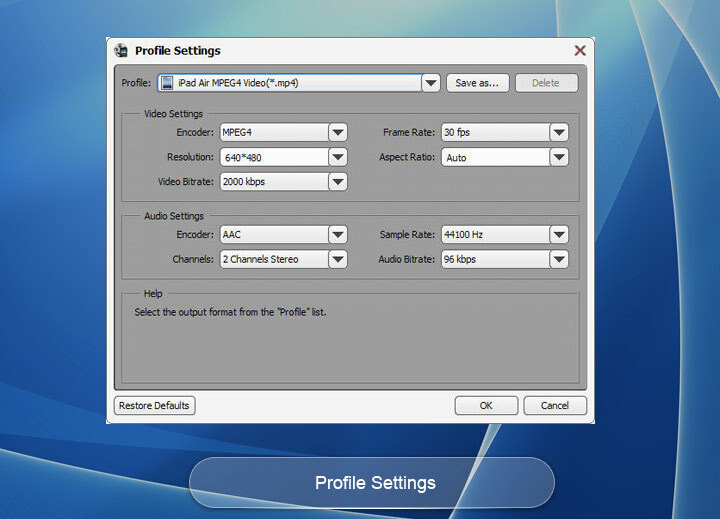 It is also possible to set Audio Encoder, Sample Rate, Channel, and Audio Bitrate. Jim: I'm happy with your video to iPad converter, for it is a 10/10 program. 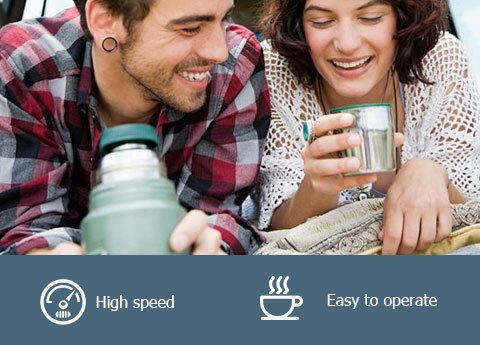 I like its simple and clear interface. It makes the operation easier. Acer: It is the best iPad Video Converter. I can convert any video to my iPad without any problem. I will recommend it to my friends. Pop: It is very easy to use and it converts my favorite videos to iPad with good quality at fast speed. The operation is so easy.